Today, I want to share with you how much our branch has grown over the last 2 years. 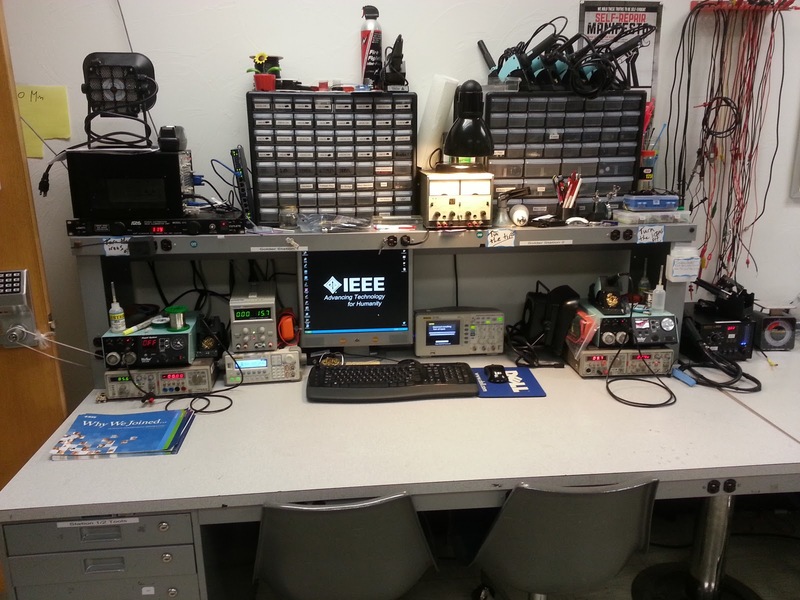 To do this, lets use an old picture I dug up of the IEEE workbench 2 years ago and now. 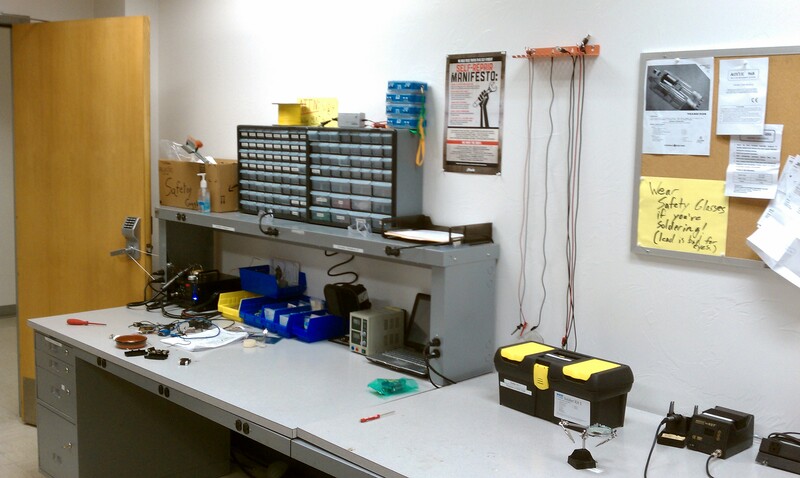 Two years ago, the only equipment we had was a power supply, a solder station, some wires, and random spare parts. After 2 years of hard work raising funds, donations, and time from our members, our bench now has better equipment than the graduate students labs. (We have been told this by grad students who use our equipment) Here's to another 2 years of IEEE. Old IEEE Workbench - Taken Nov 16, 2010. IEEE Workbench - Feb 11, 2013.